﻿ After being missing from the reggae scene for almost four years, reggae artist Boom Viniyard once deemed as "the next great thing" makes a triumphant return. 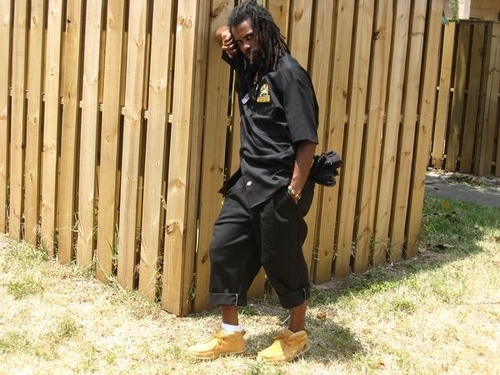 It was almost four years ago after the release of his hit single “You Don’t Have to be Like Them” that many in the reggae industry referred to Boom Viniyard as the next great reggae star out of Jamaica. But just as quickly as he burst unto the scene, he disappeared out of the spotlight. Now Boom Viniyard is back again and his intentions are to take up right where he left off. His first single since his return is entitled "I Survive", a song that tells the story of exactly why he has been missing for so long. From being the victim of an attempted armed robbery, a near fatal car accident, trouble with the law and a stint in jail, Boom Viniyard seems to have been through it all. Still the artist seems to not only have triumphed over these obstacles but they have inspired the lyrics to the artist's new song. As for the near future, the artist is currently hard at work in the studio so fans can expect a lot of new material very soon. Boom Viniyard songs can also be found on the 18 Karat Reggae releases with other reggae greats such as Beenie Man, Sizzla, Luciano, MasSicker and more. While he has had a song on every release in the 18 Karat Reggae series, the artist told the Gleaner that for 2011 fans can expect a big surprise. “I can’t really divulge into all the detail right now, but me and the label behind 18 Karat Reggae has been in a lot of talk, and if things go as planned the fans will be delightfully surprise on the next release of 18 Karat Reggae. The next release of 18 Karat Reggae is due out in the spring of 2011.